This worksheet contains two pages. 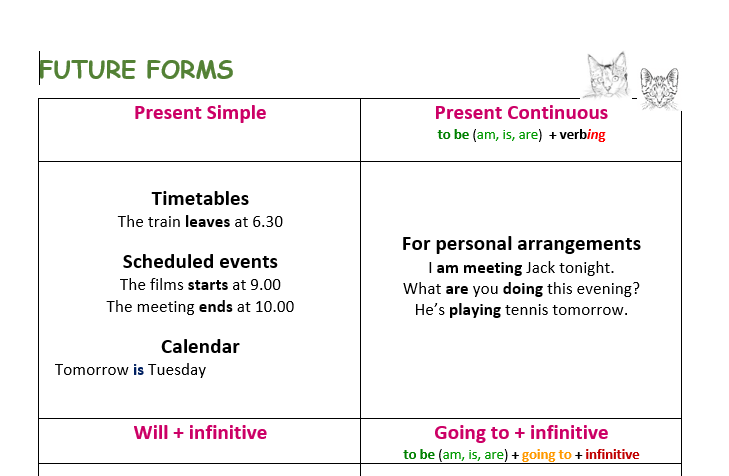 The first contains a chart illustrating present simple -ing form, will and going to and how these are used to indicating the future. 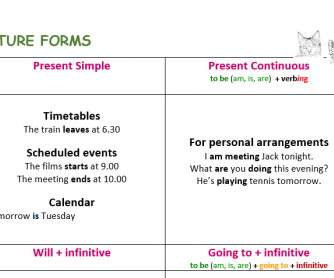 The second page is a practice sheet with these forms. Good for level A2 and a higher.